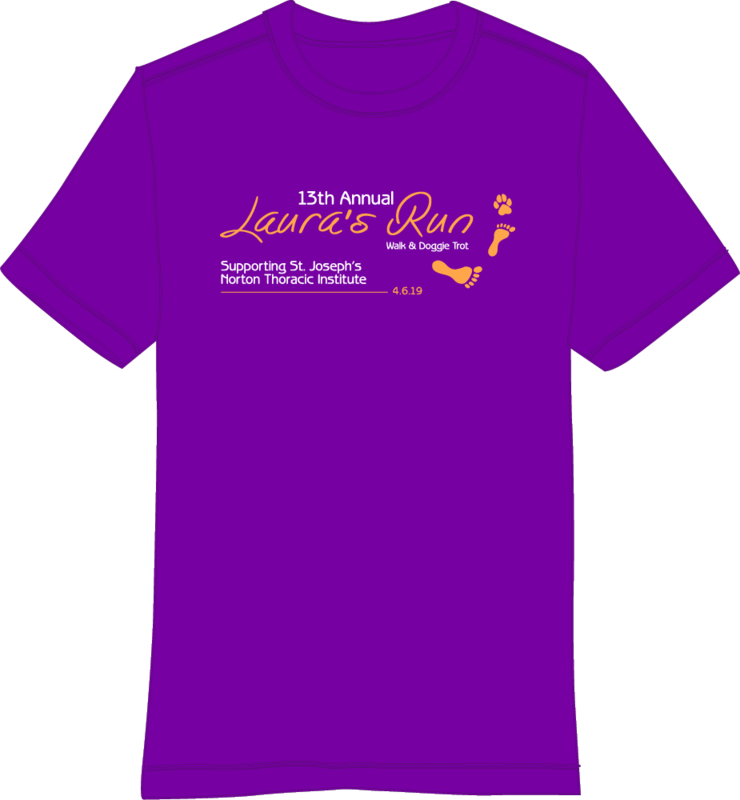 Join us for the 13th Annual Laura's Run, celebrating the life of Laura Hart Burdick and the amazing work she has inspired. 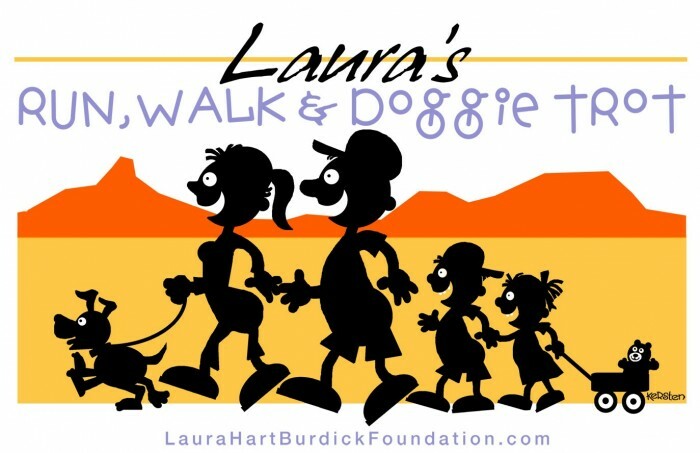 Laura's Run features a 10K Run, 5K Run, 1 Mile Run/Walk, Doggie Trot, and Kids' Dash. The event concludes with a silent auction, music, refreshments, and fun for the WHOLE family. The first “Laura’s Run” was held in 2007. It was organized by Laura’s family and friends as a celebration of her remarkable spirit. Everyone agreed that it was a fun day of shared remembrances and family-friendly events. The recurring question was, “Are we going to do this again next year?” The answer was “Yes!” So began the annual “Laura’s Run”, proceeds of which support the lung transplant program at the Norton Thoracic Institute at St. Joseph's Hospital and Medical Center. Of course we want you to participate with us on race day, but we know that you may not be able to make it to Tempe to join us. 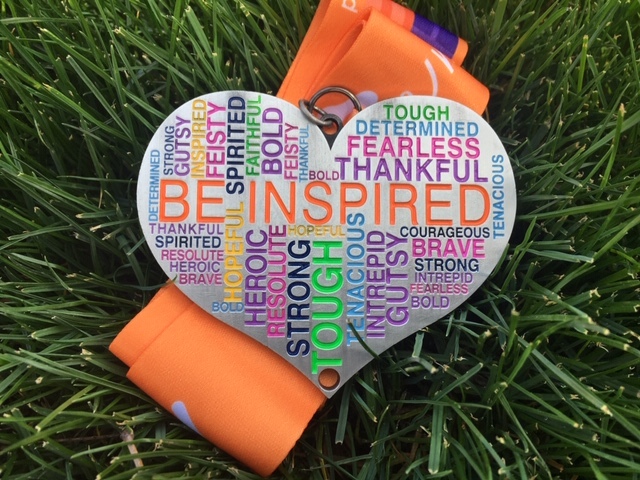 So, if you can't make it on race day but still want to run and get your swag (including finisher's medal and event shirt) you can by participating VIRTUALLY. Get out and run the 5K or walk the 1 Mile from anywhere you are and we will send you your swag following the event! 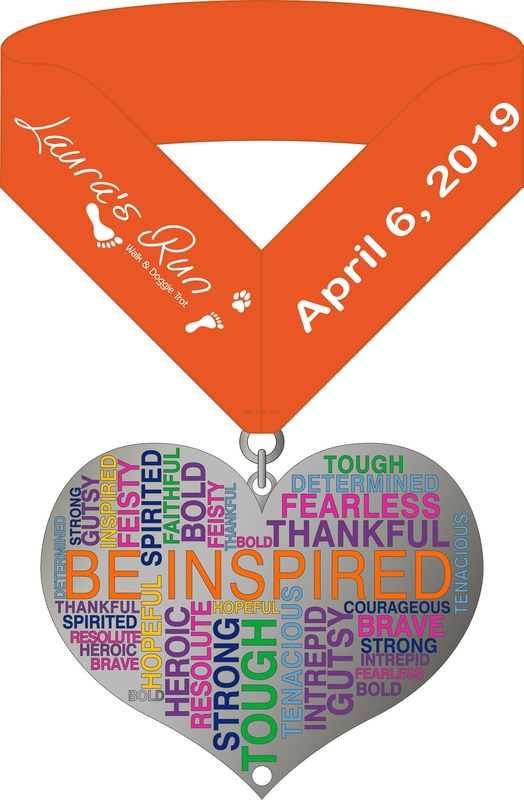 Please note your packet will be mailed out after the physical event on April 6th. All participants will be chip timed by StartLine Racing. Age group awards will be issued to the top three participants in all age groups (5 year age increments will be used). Can't run/walk in the event but want to participate? We are always looking for volunteers to help support our athletes. If you are interested in volunteering, please complete our Volunteer Application! The Laura Hart Burdick Foundation was created to celebrate the life of our beloved daughter, wife, sister, and friend who died in 2005 at the age of 33. Laura successfully battled leukemia as a college student but found that her lungs had been damaged during treatment. Her only option would be a lung transplant. She underwent transplant surgery at Stanford University Medical Center in January 2003. In April, she returned to Arizona with her husband, Jon, to live and thrive with her "gift of life". In September 2005, Laura died due to complications from infection. During her transplant experience, Laura identified needs for additional services that could reduce some of the challenges that transplant patients and their families face during their illness, surgery, and recuperation. It was her desire to help provide such services to her fellow organ recipients. When St. Joseph's Hospital in Phoenix introduced its new lung transplant program in 2007, the board of Laura's Foundation recognized it as an opportunity to fulfill Laura's aspirations!